Last week we held our last fundraising event for our car park fund. 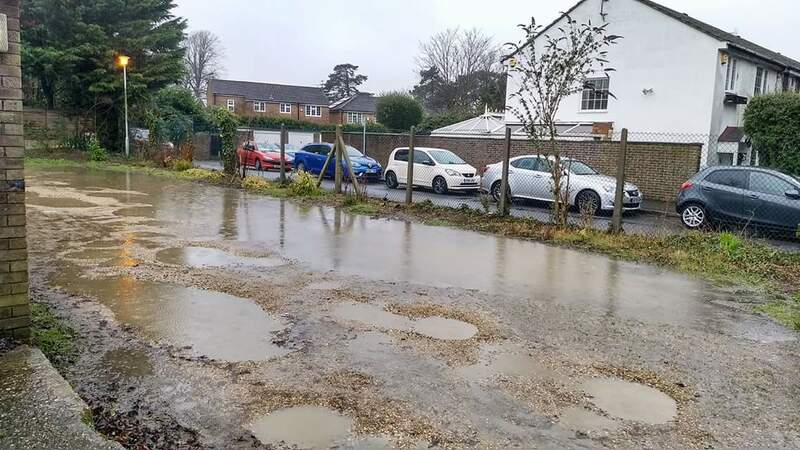 Finally we can drain and resurface our poor old car park! We launched our fundraising initiative in June 2016 and have not only hit but well and truly smashed our target. The works on the car park will happen next summer so as not to disrupt the current season. Thank you everyone who took part in this, from the fundraisers themselves who organised events or performed daring feats to raise money, to the volunteers who supported all the initiatives and to all our generous patrons and sponsors. A special thank you goes to Vodafone, who matched over £6,000 of our fundraising and to the Earley Charity for its kind contribution. We are not resting on our laurels (although much celebrating will be happening over the coming weeks, we can assure you!). We know there is still much work to be done to make our theatre more accessible and attractive for all our members and patrons. The extra we have raised for the car park will go towards refurbishing our toilets and building a new disabled toilet in the foyer. Although we aim to raise most of the funds for this through grants, we welcome any contributions, however small, that you can make towards this important work! If you would like to contribute to this initiative, please visit our Just Giving page. Watch out for fundraising events on our News pages or our Facebook page.